Rockstar CX founder, James Dodkins, used to be an actual, real-life, legitimate, award-winning rockstar. He toured the world in a heavy metal band, releasing albums and tearing up stages. Today he does things a little differently. He still travels all over the world but now he helps companies deliver 'Rockstar Customer Experiences'. 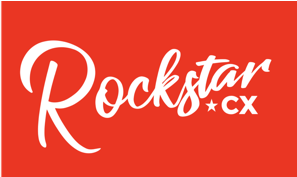 Rockstar CX was created to help companies looking to move away from 'business as usual' and embrace 'business unusual'. Stuffy corporate types aren't the right fit for our style of fast, heavy, powerful customer experience transformation. We are the perfect fit for companies who want to be different, progressive and achieve something bigger that themselves. We travel the world learning what the best performing companies do to deliver such amazing customer experience, then, distil the mindsets, philosophies, tools and techniques into different frameworks and methods then teach them to you.